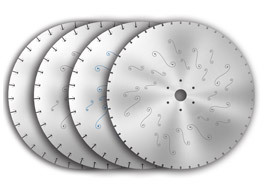 Western Saw Inc. patented laser anchor slot cores reduce noise, vibration, and gullet cracking. Core design benefits include; increased core life, reduced fatigue cracking at the base of slot, and improved overall performance. 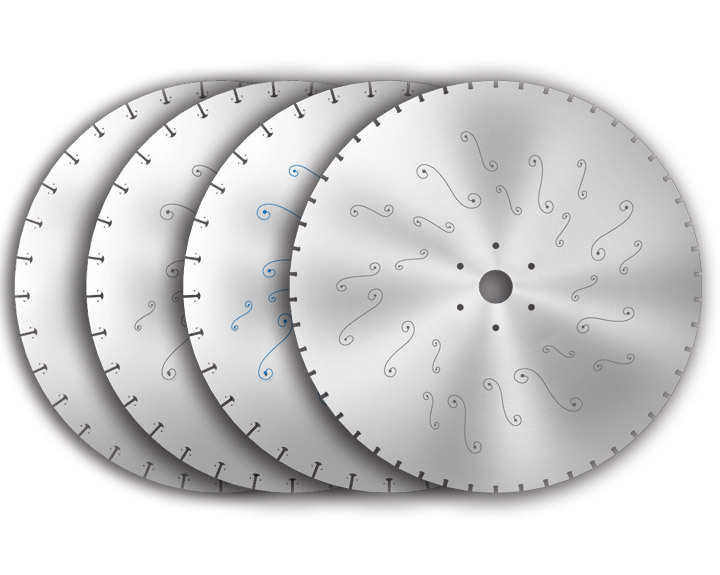 Western Saw custom designs and manufactures these patented laser anchor slot high performance cores in diameters ranging from 2" to 84" in diameter and .025" to 1.000" in thickness. All patented laser anchor slot cores can be laser welded or brazed. Quieter than a standard core and lower cost than the silent core, with the same benefit of longer life, easier to tension and may be re-segmented. Reverse engineering services are available. Small or long production runs are accepted with short lead times and on-time delivery.